ECU offers the opportunities that you need to succeed at any career in the future. Get to know your fellow Tigers by becoming involved in student and campus activities. ECU offers many services to help students succeed. 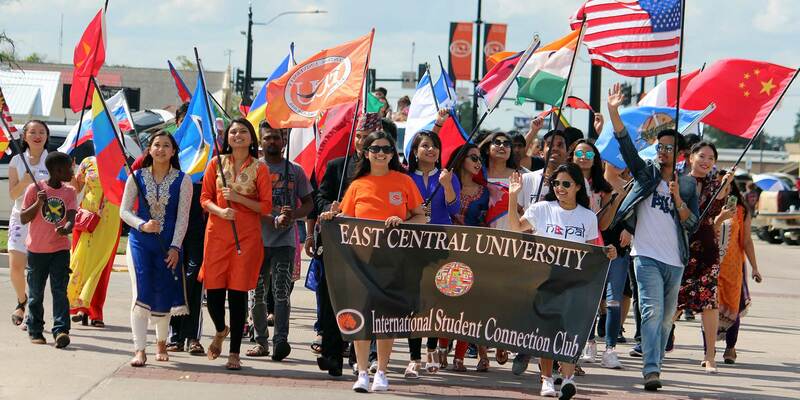 As a student-centered university, East Central University provides optimal learning experiences and services that lead to student success. Students are the center of our focus. Students and their success serve as the driving force behind our decisions. As our first priority, ECU students deserve the greatest educational opportunities and the highest quality of service. The Academic Success Center (ASC) is committed to providing a student-centered environment to foster partnerships between students and faculty, furnish accurate academic information, and to promote lifelong learning. Services we provide include registration assistance, enrollment/degree verifications, transcripts, and personal information updates. Get your textbooks here! We also have great apparel and swag for fans of ECU. Information Technology works collaboratively with the campus community to provide technological leadership which emphasizes empowerment of the individual through the use of technology. If you have an issue with university technology or need a technicians assistance please contact the IT Help Desk at helpdesk@ecok.edu or 580-559-5884. If you are unable to contact us via phone or email, visit us in Danley Hall, Room 101. The University Center Information Desk can assist students and employees with general campus information. Students and employees obtain their IDs and parking permits from this office. Ask about our billiard tables and shuffleboard. If you need assistance, contact us at 580-559-5741 or informationdesk@ecok.edu. We are located on the first floor of the University Center. Over the past year I have learned a lot from working at the Robert S. Kerr Environmental Research Center in Ada, Oklahoma. I can honestly say that what I have learned while participating in the ERAP will help me in a future career.